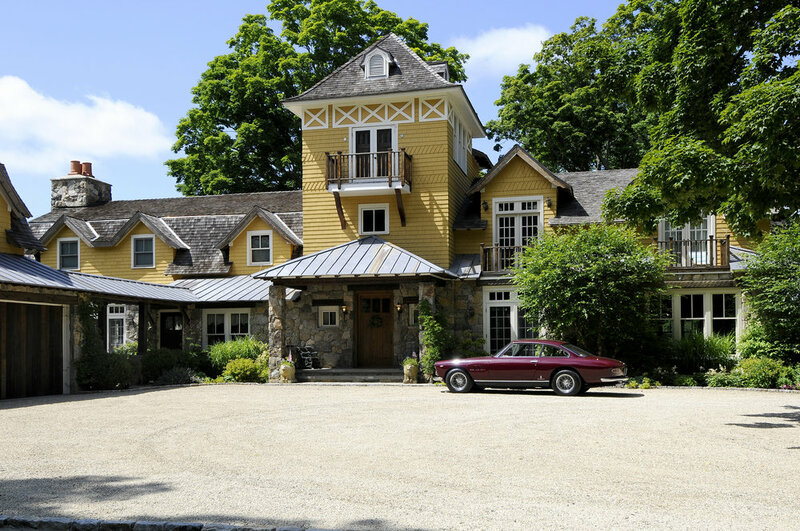 This North Salem, NY property had been crudely renovated from a barn to a residence in the 1980s. A complete interior and exterior renovation of the structure was needed. A new multi-bay garage/ workshop addition was constructed to house a vintage car collection.